So, we’re back from two nights camping; just enough time to water everything well, do the laundry, and pick some fruit to freeze for yummy desserts in winter. Then we go exploring for one more night and pick up Son. Our first night we considered a campground right along the beach, but I have a hard time reconciling “Camping” with “Beach.” And besides that, all the sites actually overlooking the ocean were taken. (We are not people who make reservations to camp.) 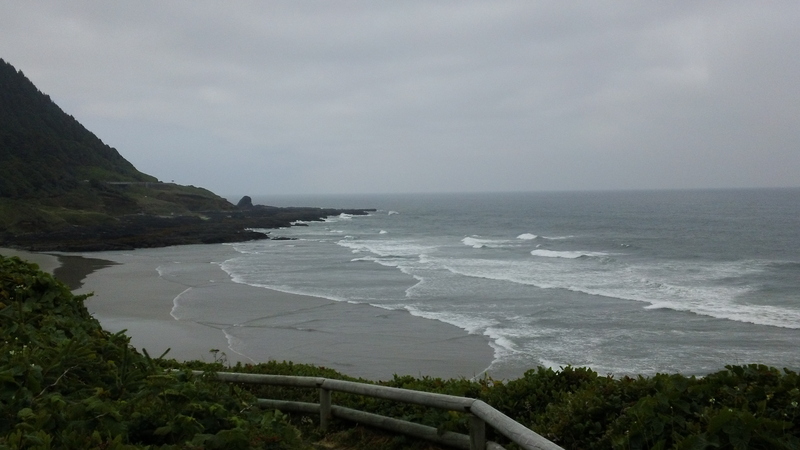 So we stayed at a place across the street from the beach, in a forest. Camping needs to be done in a forest. 🙂 So today I’ll post a few shots from the coast and next time I’ll post shots from our second night which was a new find and hopefully a place we’ll get back to sometime. Oh, and that’s why we love it here: In two hours you can drive to hundreds of campsites in the mountains in dense forests and along streams or lakes; many towns along the Pacific Ocean; and the biggest cities in the state. And in one hour you can still get to a fair amount of the above-mentioned attractions. Especially if you are not taking the “scenic loop,” which I believe is just fancy talk for “windy road going in the same direction as all the other roads, just a little slower in getting you where you are going.” Okay, yes, they are also scenic. Enough babble, time for some photos. 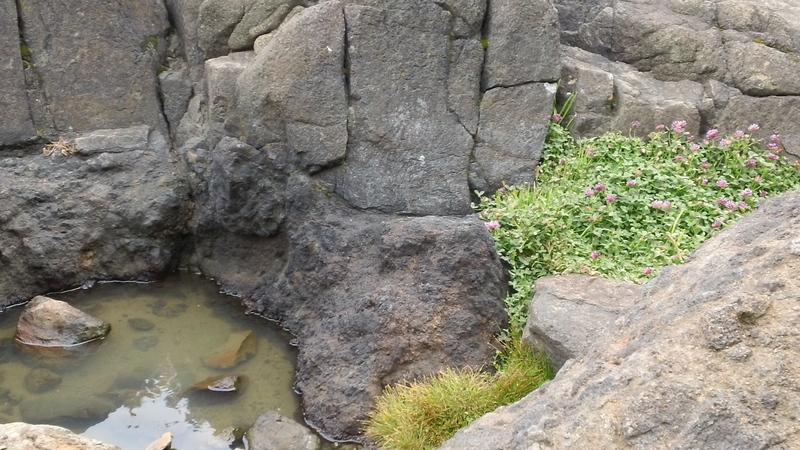 This is actually a patch of clover growing in the rocks at the ocean. 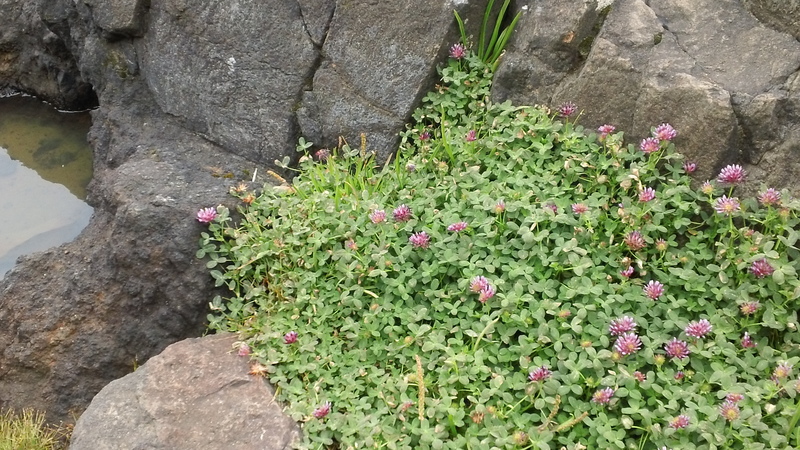 A shot of the clover on the rocky coast from farther out. 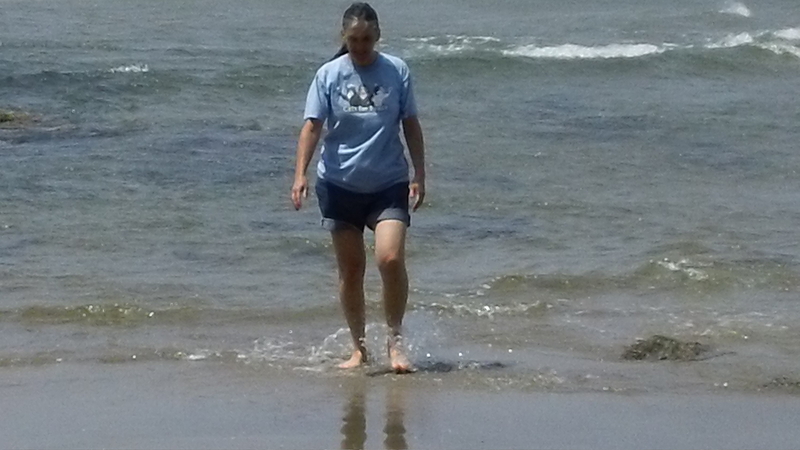 Yes, we also have the proverbial sandy beaches. 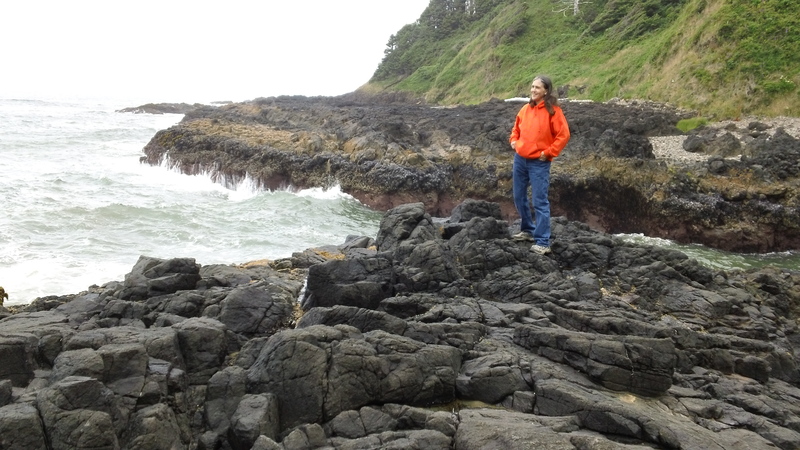 That’s me, making sure I say a proper hello to the Pacific. 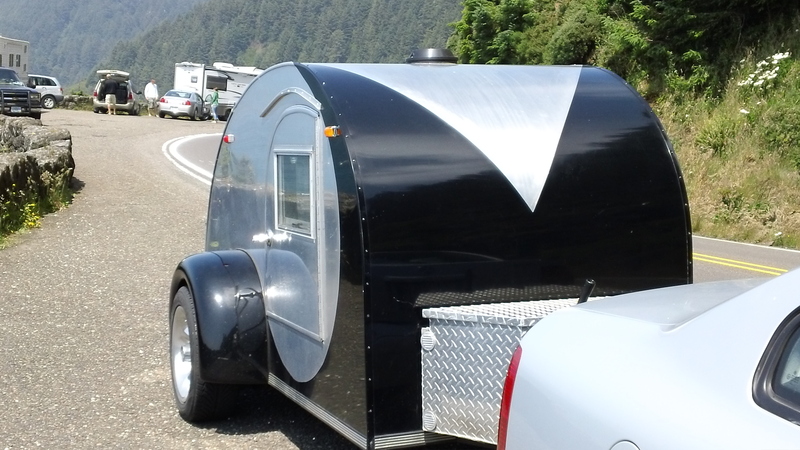 Our wonderful little teardrop trailer, parked along the cliffs for the viewing.